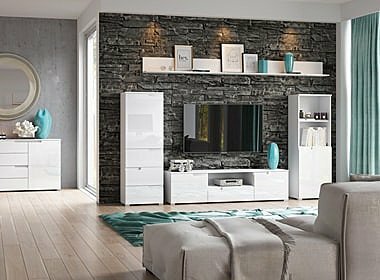 A bookcase is a must in every living room. 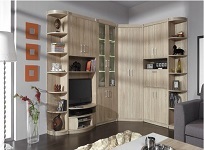 Select shelves configuration that fits you and your style. 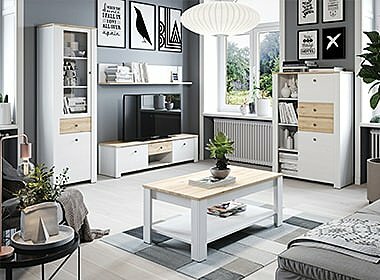 Find your chest of drawers in a selection of styles, shapes, sizes and colors to match your living room or bedroom at low prices. 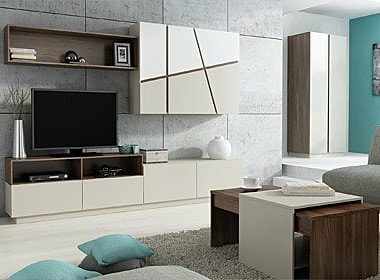 Magic Mirror on the wall, who is the fairest one of all.... well? 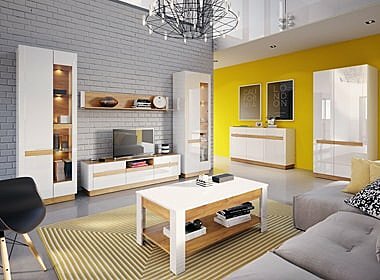 You need a mirror to find out. 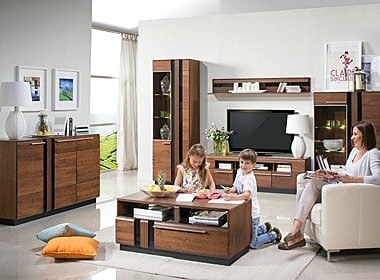 What would one do without them? 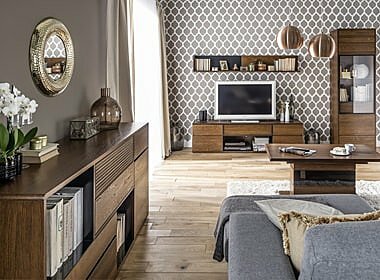 Expose your decorations or favourite books on the wall. 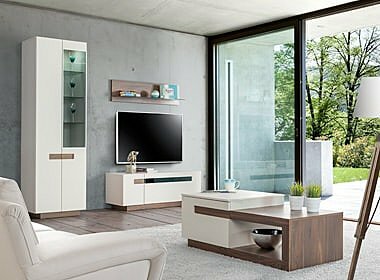 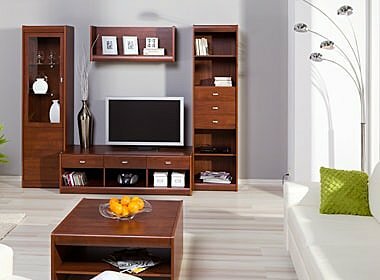 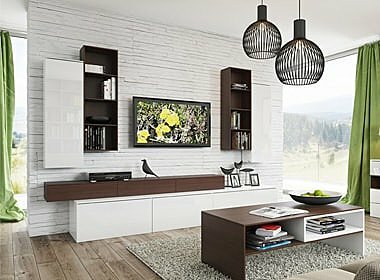 TV stands in wood or glass, showcase your TV and give you flexibility to store other electronic gadgets like DVD players and Satellite boxes. 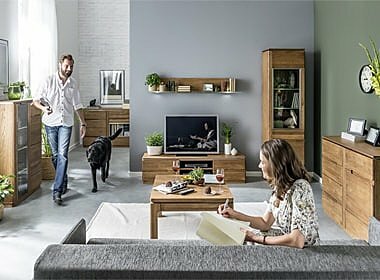 Looking for a perfect sofa? 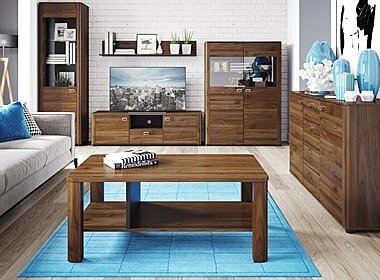 Corner sofa, couch or maybe a sofa bed? 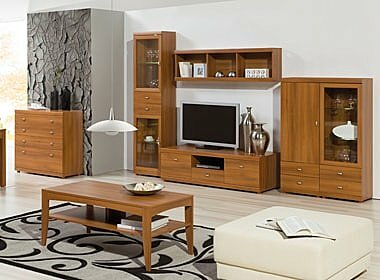 Living room furniture is one of the most important pieces of furniture at home. 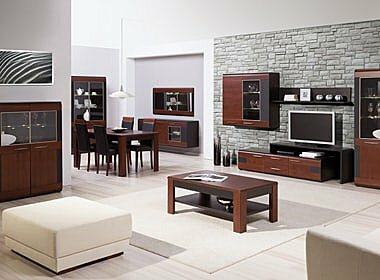 Your living room is the place, where you spend most of the time, you relax, you entertain, you socialize. 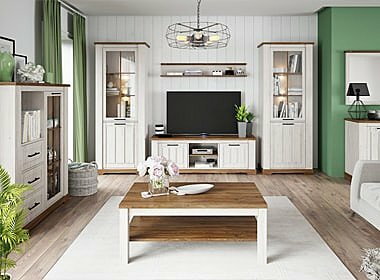 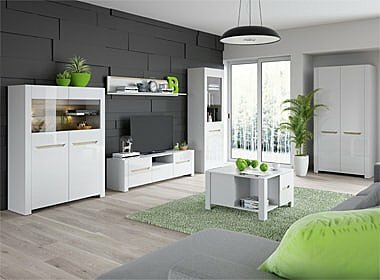 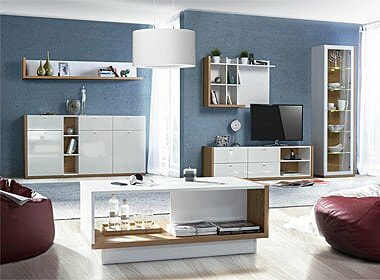 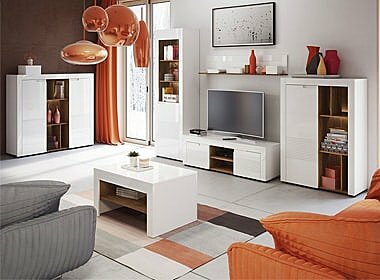 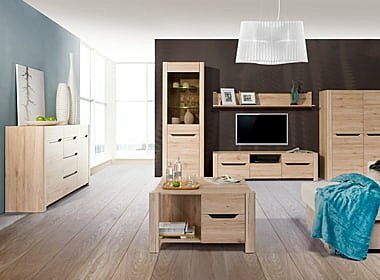 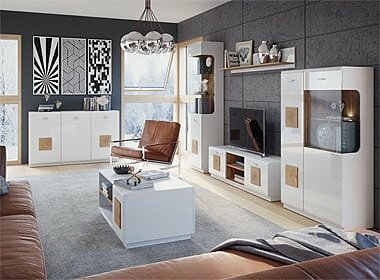 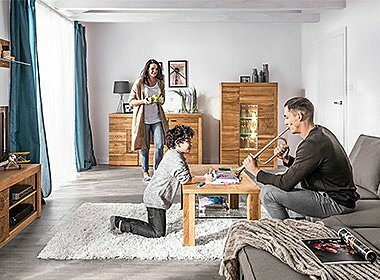 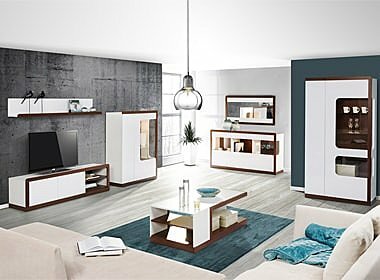 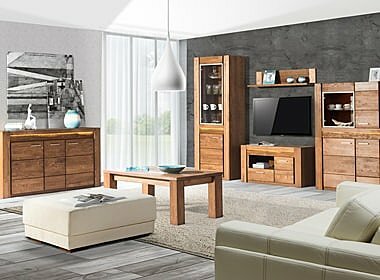 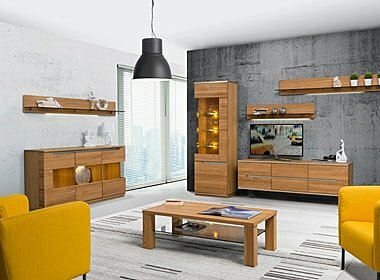 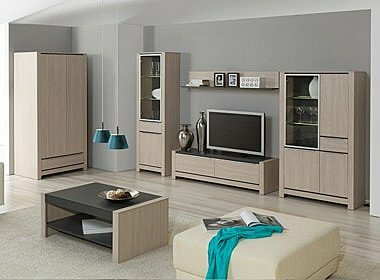 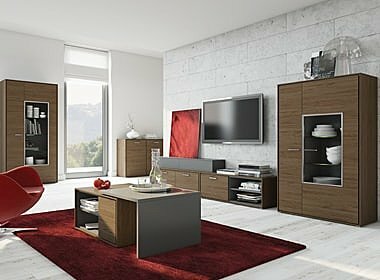 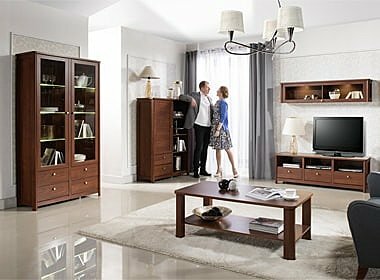 Your living room furniture should reflex your style - check our offer of living room furniture, starting from sofas, tv stands, bookcases or chairs. 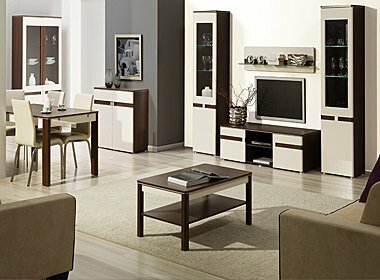 Don't forget to check out living room furniture sets as we have the new items added almost daily.